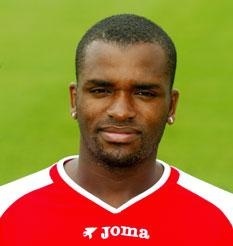 Surprise to many, Darren Bent has been sold to Aston Villa. Bent was sold for 18 million pounds and the deal was finalized yesterday. His contract will last him until 2015. Supposedly three weeks ago things started to go south and the Sunderland's Manager Steve Bruce could tell Bent was not there mentally. All things said about Bent were positive from the manager but he knew that something had to change. Last year Bent had 25 goals on the season and this year he has netted 11. Bent will now go and join speedy players like Ashley Young and Gabriel Agbonlahor. Some key Americans are on the roster like young defender Eric Lichaj and veteran goalkeepers Brad Guzan and Brad Friedel. Aston Villa needs some serious help as they are in 17th place with 22 points. They are on the verge of being relegated. Sunderland on the other hand are in good standing sitting in 6th place and 12 points above Aston Villa. Hopefully with this transfer Aston Villa can get themselves out of the hole they have dug. Look for Bent to make an immediate impact. Pepe Reina is Liverpool. When the news feed starting saying that Pepe was considering leaving, Reds fans were devastated. 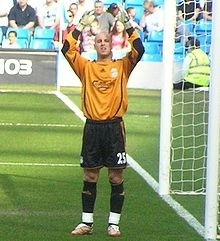 Reina has been with Liverpool since 2005 and just received his 100th game clean sheet in the 2010-2011 season. While Liverpool is having a below average season Pepe Reina has decided to stay with his current team . There was speculations that Reina was considering big name clubs like Arsenal and Manchester United. Manchester United is looking for a new goalie as Edwin Van der Sar's career is coming to an end. Reina signed a six year contract back in April and Reina commented on these issues in the Daily Star Sunday, " I'm tired of rumors linking me with many teams in England and abroad, I am a man of my word and committment. I will honor my contract with Liverpool. Stories of these offers are not true. I have not spoken to anyone - ever - and I am 100% a Liverpool player." This statement from Pepe Reina will ease the minds of Liverpool fans. Liverpool had a huge victory this weekend over Bolton Wanderers and it came with a late goal by Joe Cole. It appeared that the Reds could be back in top form as Gerrard and Torres connected. Liverpool sits in 9th place with 25 points and their next fixture is at Blackburn on January 5th.